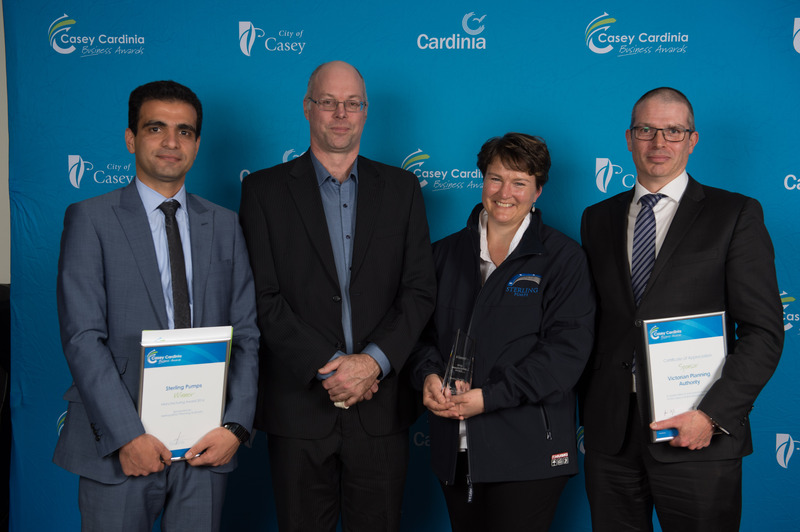 Winners for the Casey Cardinia Business Awards 2016 were announced at a gala dinner held at the Cardinia Cultural Centre on Friday 16 September. 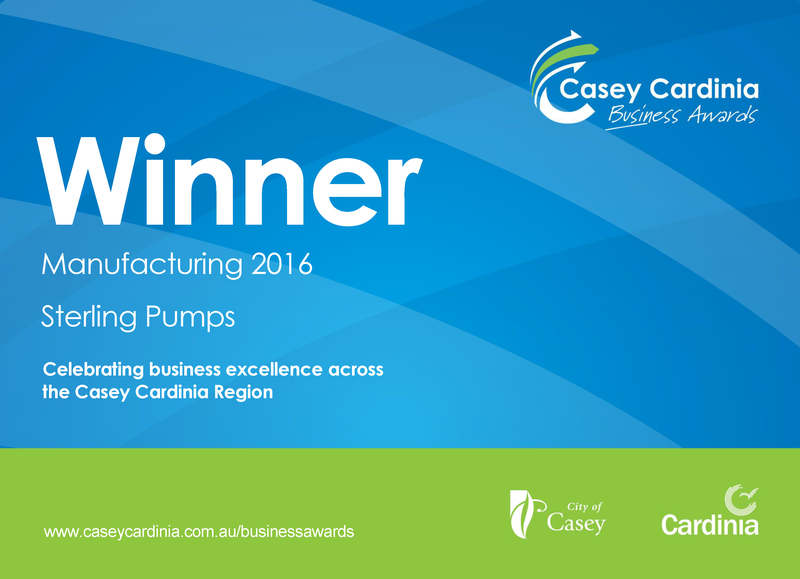 It was a fantastic evening seeing Sterling Pumps take out the 2016 Manufacturing Awards for the City of Casey. 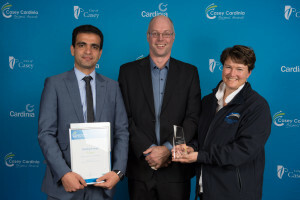 Sterling has always been proud to be an Australian company and to win this award with such tough competition makes us truly appreciative of our efforts.